With 2016 behind us the PSNStores Podcats once again have gathered to discuss our favorite games from the last year. 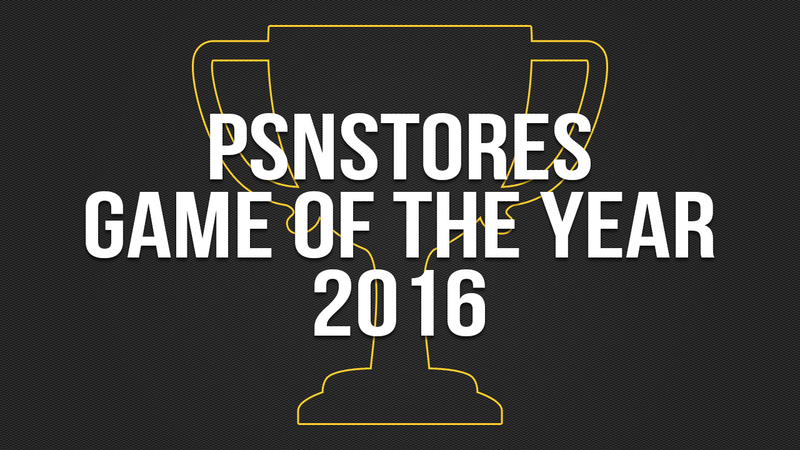 You’ll be able to hear the entirety of that discussion in podcast form on Friday, but for now, welcome to Day Two of the PSNStores 2016 Game of the Year awards! Today we’ve got “Best Visuals”, “Best Multiplayer”, and “Whity the Dolphin’s Character of the Year”. Day One: “Charmingest, Charming, Charmer”, “Best Narrative”, and “Best Soundtrack”. Day Three: “Biggest Surprise”, “Most Disappointing”, “Best PS+ Game”, and “Best Retail Game”. Day Four: “Best VR Game”, “Best Vita Game”, “Best PS4 Game”, “Top 5 Games of 2016” and Game of the Year Podcast. From Firewatch to Uncharted 4, we’re seeing so much variety in artistic approaches to video games today. You could make a legitimate argument for any of the games that we had nominated to win this category, which of course made narrowing the list down to three pretty tough. 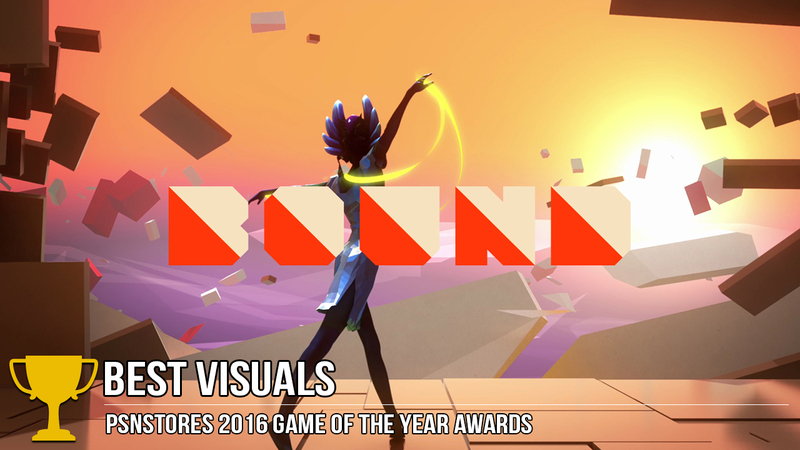 Bound’s abstract world is eye-catching on its own, but it’s the game’s animation that ultimately put it over the top in this category. Your character in Bound is a young ballerina, every type of movement that she makes is deliberately animated in such a way that it appears as if she’s dancing. She moves with such grace and seemingly commands the world with her dance; in that respect Bound often feels like performance art. It’s all pulled off incredibly well and deserves to be recognized for some of the best animation we’ve seen. This category is brought to you by our resident Golden Age of Multiplayer Expert (GAME), Eric, who has dedicated thousands of hours to studying the craft of tetromino stacking and burger flipping. The fact that Headmaster actually had a story was surprising on its own, that a character from that game is our Character of the Year is possibly even crazier, but here we are! Let’s not take anything away from Carl though, he’s a hard working employee of the *Football Improvement Centre. He’s the glue that keeps things together and his valiant efforts to provide the best training courses should be applauded. 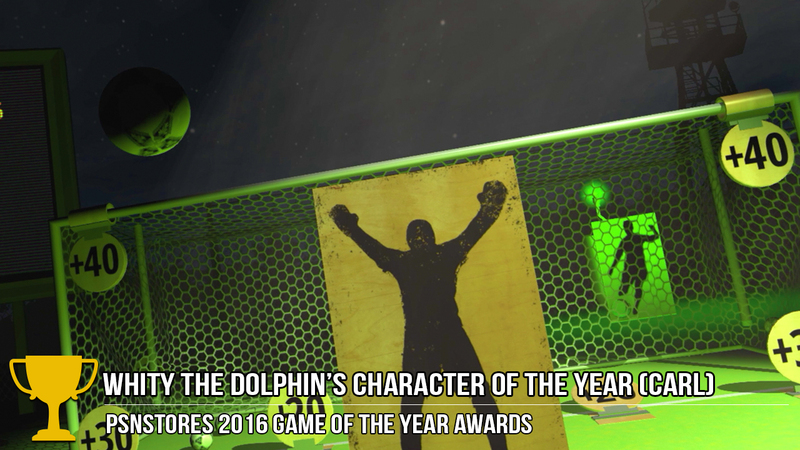 Much like the game itself, there’s more to Carl than you might expect and that’s why he’s earned the spot of this year’s “Whity the Dolphin’s Character of the Year”. Be sure to come back tomorrow for Day Three of our Game of the Year Awards! Until then, what do you think of our picks? 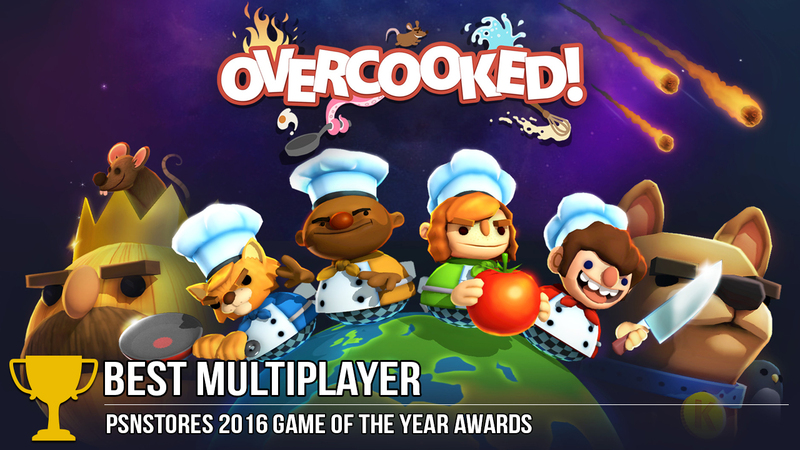 What visuals, characters, and multiplayer games stood out to you last year?